The Steelers have won six games in a row and sit atop the AFC North. They have bounced back from a rocky start. And they have done so in a way that has some thinking this is the best Pittsburgh team since 2008. Like Joe Starkey of the Pittsburgh Post-Gazette. He may be seeing things through pink-tinted glasses, though. “It’s also worth noting the Steelers have cut down on penalties and sensational non-football stories,” Starkey writes. Sure, if we don’t count Antonio Brown. In all fairness, though, Pittsburgh is playing great two-sided football. They rank 4th in points (29.9), 5th in total yards (410.2), and 4th in passing yards (312.5) per game. As well as 10th in points (22.5), 6th in total yards (326.8), 7th in passing yards (227.2), and 9th in rushing yards (99.6) allowed per game. Per the best betting websites, Denver is 7-2 SU in their last nine home games versus the Steelers. And 7-3 ATS in their last 10 as a home underdog. Our Pick: Broncos Stadium is a tough spot to play. And there is something to be said for home advantage. But the Steelers seem to have away advantage. They proved it last week. The rallied from a 16-point deficit and bested the Jaguars by four points. Thought you had it there, didn’t ya Blake? Pittsburgh is 10-0-1 SU in their last 11 road games, winning by an average margin of 7.5 points per game. Also, according to the best online sportsbooks, the Steelers are 15-1-1 SU in their last 17 on the road. Pittsburgh has not won in Denver since 2009. 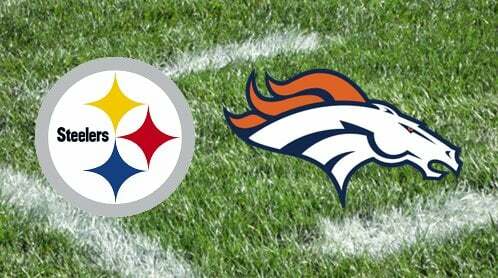 However, I think it’s high time the Steelers win at Mile High. If anything, it seems like the best betting websites are being a bit stingy with this spread. Take Pittsburgh and the points.